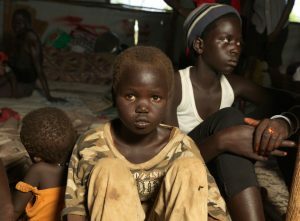 Since 2014, brutal conflict and severe hunger in South Sudan have driven more than one million people to safety in Uganda. 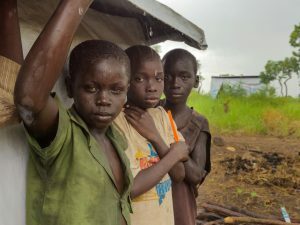 The small country of Uganda is now shouldering the largest refugee crisis in Africa, with an estimated 1.1 million men, women, boys and girls having fled their homes in neighbouring countries. Families are arriving in dire conditions, many have walked for days through the bush with little food and water. Women and girls have been abused, beaten and raped on their journey. Families desperately need your help to survive and recover. Please donate to our East Africa Appeal now. We are providing necessities for families to stay healthy including soap, toothbrushes and sanitary items. We are helping refugees receive adequate healthcare. We are helping women and young people to set up small businesses and earn a living. We are providing shelter materials and support so families can build homes. We are giving support to survivors of sexual violence. 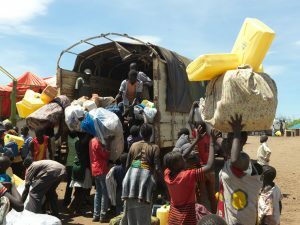 Please donate now to help us reach more families in Uganda. Donations over $2 are tax deductible. Should the funds raised through an emergency appeal exceed the amount required to meet the immediate and longer term needs of the people in the affected areas, or if there are changes in circumstances beyond CARE’s control which limit its ability to utilise all funds in the affected areas, CARE will direct excess funds to other emergency relief activities in the future.